ROSEVILLE, Mich. -- A group of students from Roseville High School have earned a spot in a national competition after restoring a classic Ford car. Auto shop teachers Paul Tregembo Jr. and his father, Paul Tregembo Sr., said their students will become the first in the nation to enter the AutoRama competition in Houston. The students revamped a 1951 Ford sedan. DETROIT, Oct. 25, 2010 – Ford Motor Company today announced plans to invest an additional $850 million in Michigan between 2011 and 2013 as part of the company’s commitment to competitively grow its engineering and manufacturing employee base, upgrade its facilities in the state and further improve its vehicle fuel economy. Ford’s investment will generate up to 1,200 new full-time positions in manufacturing and engineering operations in Michigan by 2013. The company expects approximately 900 jobs will be hourly positions in its Michigan manufacturing facilities and the remaining 300 will be salaried positions within its engineering and manufacturing operations. Ford is making the Michigan investment commitment after working with officials on a new Michigan Economic Growth Authority (MEGA) package that replaces several existing state incentives and makes Michigan a more competitive place to invest in new fuel-saving technologies and facilities. The Michigan Economic Development Council considers the package this week. Once approved, Ford will allocate its $850 million investment across a variety of plants including Van Dyke Transmission, Sterling Axle, Livonia Transmission and Dearborn Truck Plant. For instance, a significant portion of the company’s additional investment will benefit engineering and production of Ford’s new six-speed transmissions, which are planned for many future Ford vehicles and built at the Livonia Transmission Plant and Van Dyke Transmission Plant. By 2013, 100 percent of Ford vehicles will incorporate a six-speed transmission as part of the company’s commitment to leadership in fuel economy performance in all vehicle segments. This most recent investment commitment builds on the $950 million the company previously announced in Michigan to transform the Michigan Assembly Plant from a large SUV factory to a state-of-the-art car plant, which will build the new Focus arriving in showrooms early next year, as well as the company's battery electric Focus and next generation hybrid and plug-in hybrid vehicles, all planned for production at the Wayne, Mich., facility by 2012. Something's in the Wind at Roy O'Brien! Roy O'Brien Ford is starting to go "Off The Grid" and become the first dealership to become energy independent and self-sufficient. 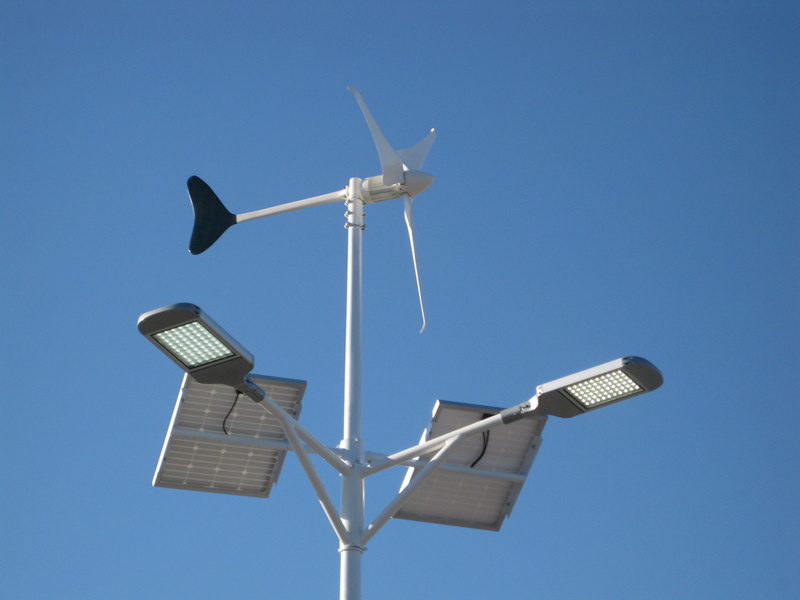 A couple weeks ago we installed three (3) wind / turbine & solar powered lights in our parking lot off Nine Mile Rd. This is just the start of our efforts to go green and become completely energy independent. Stay tuned for more news on our efforts to reduce our carbon footprint and get "Off the Grid." SAN FRANCISCO, Oct. 8, 2010 – Ford is starting to release its Software Development Kit (SDK) to a new set of interested smartphone app developers so they can modify existing apps to work hands-free using voice recognition through Ford SYNC for safer command and control while driving. 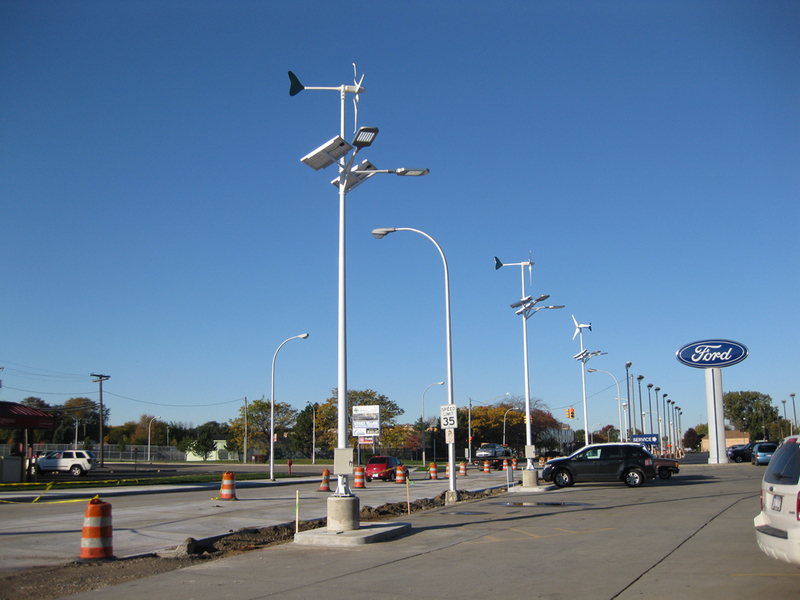 DEARBORN, Mich., Oct. 7, 2010 – When Ford Motor Company debuts its all-new Focus Electric in late 2011, customers will learn a new way of “refueling” – plugging in instead of gassing up. While most owners are expected to recharge the zero-emissions, gas-free Focus Electric at home with an optional wall-mounted 240V charging station, they also will have the ability to recharge at remote locations with a standard 120V convenience cord. Both types of connectors will use an industry-standard five-point plug fitted with an ergonomic Ford-branded handle specially designed for comfort and durable daily use. Owners of Focus Electric will recharge the car’s onboard lithium-ion battery pack by plugging the convenience plug or charge station plug into the vehicle’s charge port. When plugged in, the vehicle’s onboard charger converts the AC power from the electric grid to DC power to charge the liquid-cooled battery pack. A full recharge is expected to take six to eight hours with a 240V charge station or more than 12 hours with a 120V convenience cord set. When fully charged, Focus Electric is expected to deliver up to 100 miles of gas-free driving – more than enough for most U.S. commuters, who average 40 miles per day. Like most household electrical plugs, Focus Electric’s cord set connector has three pins at the end that plug into a standard outlet. But the similarities stop there. The end that connects with the car has five pins, including one that communicates with the vehicle about the type of electrical current (120V or 240V) it is requesting and another pin that deactivates the current when the user disconnects the plug from the charge port. Focus Electric’s convenience cord will be 25 feet long, making it long enough to reach the nearest outlet, eliminating the need for an extension cord. When not in use, the user can spool the cord around a special oval-shaped holder that also accommodates the cord’s control box. The spooled cord will have a designated spot in the vehicle’s trunk. Between plugging in and unplugging at home, work or other places, Focus Electric owners are likely to recharge their vehicles two to four times each day (nearly 1,500 times a year) compared to once a week for gassing up (52 times a year). With a Focus Electric owner in contact with the connector so many times, Ford conducted an ergonomic study to help determine plug handle design, as well as charge port height and insertion angle. Study participants – who ranged from petite adult females to larger adult males, ages 21 to 61 – tested a variety of plug handle prototypes. In seeking a blend of tactile toughness, high-tech polish and ergonomic comfort, the team benchmarked Craftsman® tools and considered the attributes of such disparate products as Apple® mobile electronics and OXO Good Grips® kitchen utensils. The plug handle uses a matte-finished blue rubber that allows for a comfortable, non-slip grip and the plug head is shielded with a glossy white hard plastic to protect the electronics. The Ford Blue Oval trademark helps make the device immediately recognizable. Ford’s supplier partner Yazaki conducted extensive and durability tests on Focus Electric’s cord set connector, including an insertion/extraction study of 10,000 cycles to assess the durability of the interaction between the handle and plug. For every thousand insertions, testers dunked the plug into a sandy salt water solution to add grit to the connectors and they repeatedly dropped the handle and rolled over it with a car tire to test its durability. Testers also subjected the cord set connector to ambient extreme temperature increases. PARIS, Oct. 1, 2010 – The AutoWeek editorial staff has named Ford’s Focus ST the “Most Fun” vehicle of the 2010 Paris Motor Show. High praise indeed, considering the Focus ST beat out the Porsche 911 Speedster, Ferrari SA Aperta, Audi E-tron Spyder and Audi quattro concept at the biennial gathering in Paris. Boasting exhilarating performance and an addictive sound, the muscular Focus ST, along with the sporty five-door hatch, sleek four-door sedan and stylish wagon were revealed in full detail at the Paris show ahead of the car’s production start in Europe and North America in late 2010. Packed with more affordable technologies and features than ever before, the new global Focus offers the highest standards of quality and craftsmanship along with outstanding fuel economy, and takes the car’s legendary driving dynamics to a new level of engagement. The new Focus will be sold in more than 120 markets, with up to 80 percent parts commonality. Focus will be built on Ford’s new C-car platform, which will underpin up to 10 unique models and generate sales of 2 million units annually.